On February 1, the SEEDS (Sustainable Energy Education and Development Support) announced it has named Sandy Long its new Executive Director. SEEDS, a nonprofit environmental education organization based in Honesdale, Wayne County and serves the northeastern region of Pennsylvania, promoting sustainable energy and sustainable living. Sandy brings to SEEDS a passion for sustainability supported by action, and a background as an award-winning writer, photographer and artist who focuses pen and lens on environmental, cultural and community issues. Sandy is co-founder of Heron’s Eye Communications a Pike County-based firm which was a 2008 recipient of a PA Governor’s Award for Environmental Excellence. Following a career in higher education administration, Long freelanced for publications in the Upper Delaware River region and worked as a staff photojournalist and columnist for The River Reporter. She was selected as the first Artist-in-Residence at Shenandoah National Park in Virginia and also served as the Delaware Highlands Conservancy’s Artist-in-Residence at Lemons Brook Farm in Bethel, New York. Her artwork has been featured in regional galleries and exhibitions. Long’s early experiences in nature have inspired her efforts as an advocate for the preservation of wild places and natural resources. She continues to share her passion through community involvement and by holding the natural world as the primary inspiration for her work. Long earned her B.A. in English with a minor in Communications, from Wilkes University. 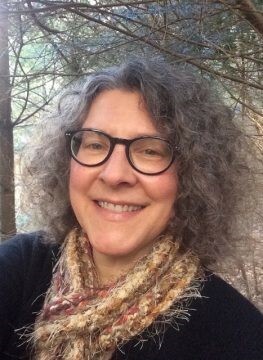 She was a founding member of the Upper Delaware BioBlitz and has served on Lacawac Sanctuary’s PR Committee and as a board member of the Black Bear Conservatory of Music, as well as regional arts grants and scholarship committees. She enjoys leading poetry and photography workshops that raise awareness of the natural wonders of the region. Her personal interests include reading, hiking, yoga, kayaking, gardening, guitar, piano and animal welfare. Her work can be viewed at Sandy Long Photos, at Instagram (@heronseye) or on Facebook..
For more information about the program, visit the SEEDS website or send email to: Sandy@SeedsGroup.net or call 570-245-1256.